Should this government be telling Nigerians such story or just go ahead and arrest the so called sponsors it truly they have the "evidence"? Hmmm! But the Peoples Democratic Party in reacting to Presidency’s claim, said the APC government was on the throes of death and that its panic-stricken leadership had resorted to fabrications and cheap blackmail against those leaving the party’s alleged sinking ship in droves. It said the APC, which it called shattered, and the Presidency, had become what it described as intensely nervous and chaotic over the soaring popularity of the PDP, adding that the ruling party was not comfortable with the desire of many Nigerians to join the former ruling party. He added, “The APC is particularly unsettled by the huge successes recorded by the Liyel Imoke-led PDP Contact and Integration Committee, in seamlessly galvanizing alliances among stakeholders across other parties, including those returning from the overtly dysfunctional and derelict APC. “The APC is further disconcerted by the spirit of accommodation, agreement and oneness of purpose that pervade the alliances among old, new and returning members of the PDP in our key structure across all the states of the federation, particularly in Sokoto, Kogi, Kwara and Kano states, where all new and returning members have been accorded very warm reception. “What the APC, in its depravity and desperation, has failed to note is that the PDP had, since its repositioning, made adequate arrangements, ahead of time, to accommodate all interests and alignments in this collective quest to rescue our nation from the misrule of President Buhari, come 2019." 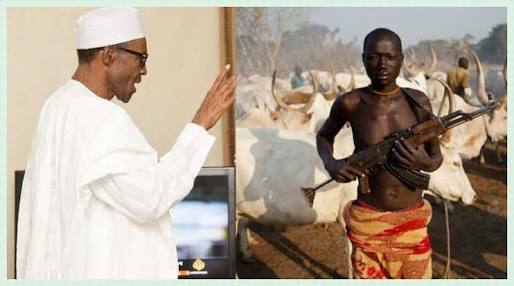 Meanwhile, the Bishop of Diocese of Akure, Church of Nigeria (Anglican Communion), Simeon Borokinni, has condemned the incessant killings by Fulani herdsmen in some parts of the country.